I recently had the immense joy of designing and printing letterpress stationery for one of my dearest friends, Ashley Van Ryn. Ashley and I were softball teammates, roommates and general partners in crime in college. She was even my maid of honor at my wedding! Ashley is truly a special person. She’s extremely smart, outgoing, funny, passionate, loyal and incredibly athletic. After her time as a Division I student-athlete she picked up the sport of handball, made the USA National Handball team and USA Beach Handball team. Over the last five and a half years she’s traveled the world with her handball teammates competing internationally and growing the sport in the States. She’s an incredible human being and you only have to meet her once to understand how exceptional she is. It’s such an honor to call her one of my closest friends. So when she asked if I could create personalized stationery for her it was a no-brainer to say yes! Back in 2012 when I’d acquired my first press, a tabletop hobby press, I created a couple of personalized sets of stationery for pals as a fun project to get acquainted with my press. Ashley was one of those pals and she’d recently asked me for a reprint of them. I knew immediately I was going to create a fresh design for her, because my skills are stronger than they were in 2012. And being so close to Ashley I felt like I had a lot of free reign to design what I wanted. Both sides of Ashley’s family are Dutch and she’s related to Dutch master Rembrandt! So rather than a traditional monogram, I wanted to create a design that reflects her heritage. We decided to keep the bright blue and the clog from my original design and I did some research on Delft pottery and patterns found in Dutch culture. 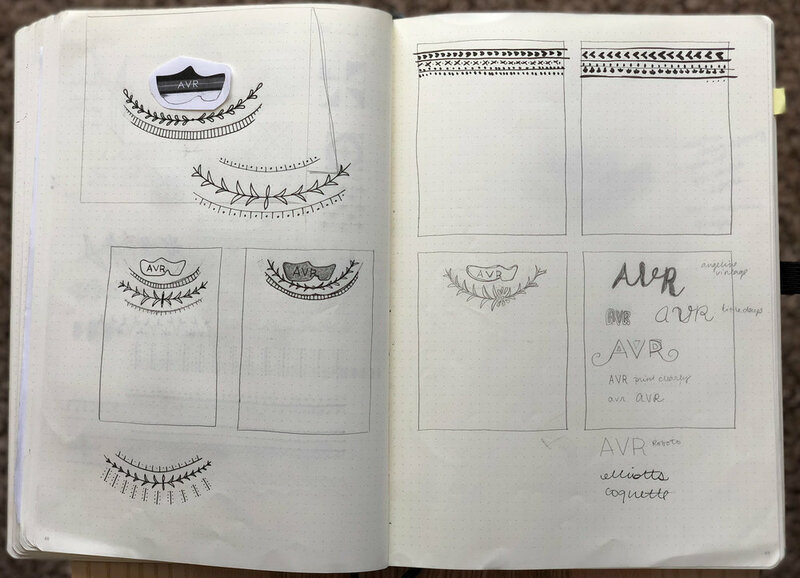 Using my research as inspiration I created a new pattern that felt natural to both my style and Dutch culture. I also wanted to create a design that felt true to Ashley. 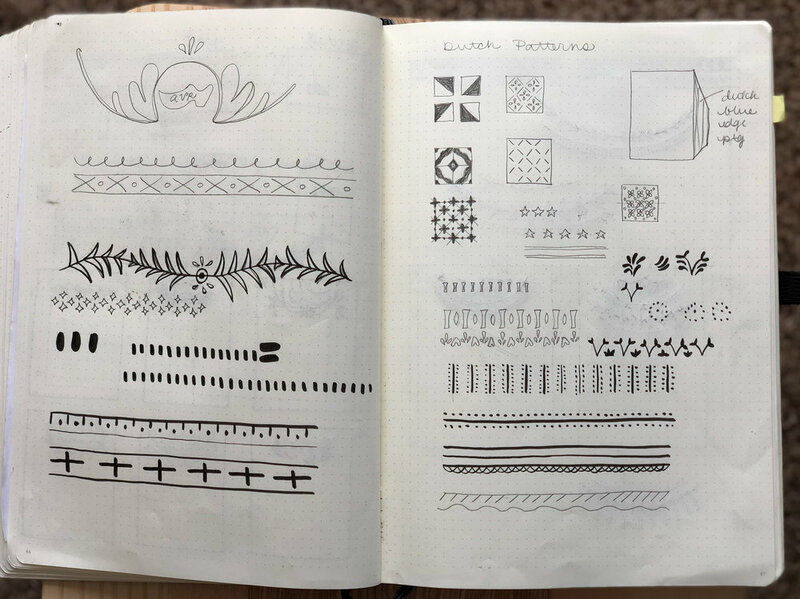 The design had to feel both feminine and strong, so I chose a design that looked more leaf-like than floral and kept the bold repeat pattern thinner and lighter weight than my typical designs so it’s more lace-like than a rough stamp or carving typical to my work. Ashley wanted a combo of folded cards and note cards, so I created a design that could be printed in both sizes without needing to create separate printing plates. 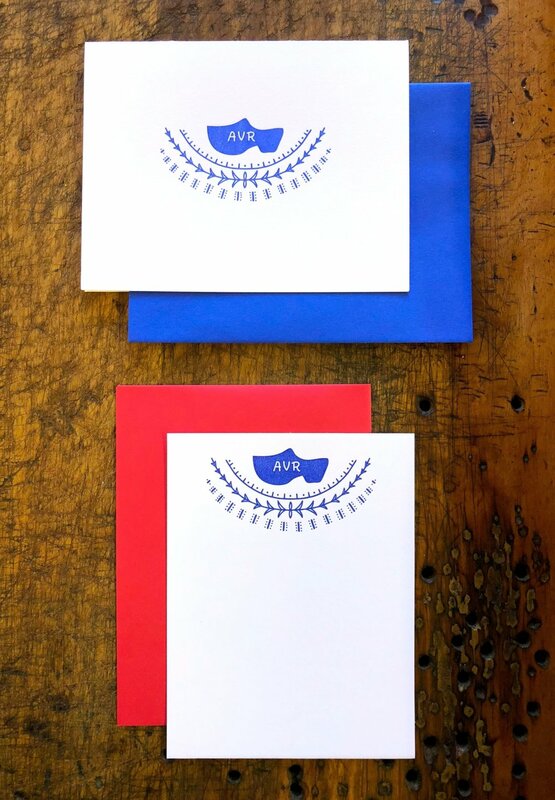 We also knew we were going to match the cards with a blue envelope, but I also threw her the idea of a red envelope she can use when sending Team USA correspondence, such as a thank you note to a donor. She went for it! Overall, we were both happy with the results and I had a lot of fun creating this stationery set for such a close friend. Ashley is currently preparing with USA Women’s Beach Handball Team for their first appearance at the World Championships in Russia July 24-29, 2018. All national teams are 501(c)(3) and must be self-sufficient. All their support is provided through sponsorships and donations. It’s a sport truly supported by the American people.